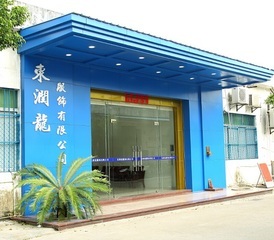 Foshan Shunde Dong Run Long Garments Co., Ltd.
Foshan Shunde Dong Run Long Garments Co.,Ltd was founded in 2002.We focus on designing, researching and developing, manufacturing and selling denim products. 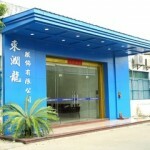 Our company is located in Chinese Jeans Town—Shunde Junan Town. We have more than thousands self-developed designs for customers to choose from. We release at least 100 products monthly to meet the latest market trends. Our brands include: “VIGAZZ® “、” DON&UOR®”、 “AOJIE®”、” RAWDINM™”. With our rich experience and considerate services, we have been recognized as a reliable supplier for many international buyers. We operate our in-house facilities to work on your OEM/ODM projects. Our experienced technicians are adept at using kinds of machines, enabling us to meet your customized requirements. With an annual production capacity of two million pieces of denim products, we can fill your bulk orders with ease.Our products sell well in international markets, such as USA, Italy, Russia ,Hungary, Spain, Romania, Ukraine, Poland, Slovakia and Uruguay, etc., and are favorably appraised by clients.To benefit from our strong OEM/ODM capabilities and considerate services, contact us today. We will sincerely create and share success with all clients.